Private passport expediting company exist because many travelers find the convenience of having an expedited passport company handle all the details of obtaining their rush passport and visa to be well worth it. This is especially true of business travelers that have so many details to deal with. Finding the best passport expediting company is not always the cheapest but they provide better customer services. Our how-to guide below tries to help you find a legitimate passport expediting service to expedite your passport and visa. Finding a registered passport expediter is a simple process below we have listed all passport expediting companies by a state where you could select state and rating of the passport expediting company. No matter what your purpose selecting and using the best passport expediting company can save you a great deal of time and cut way down on your stress. No lines, no fuss, just deal with one service and you’re done. Find a Legitimate Passport Expediter? Many passports and visa expediters exist especially on the internet. It can be quite confusing. 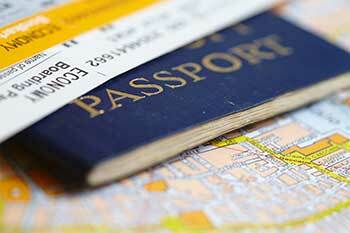 How does a user determine which company to get his or her passport expedited? Who to trust? Clearly, this is a critical issue since you will be entrusting a great deal of your personal, private and highly confidential information to these people. Our formula is simple. We have reviewed most of the comments on the internet, interviewed many travelers and consulted with a host of professionals to not only get answers for you but also for us. When selecting an expediter, be sure to provide the passport expediting company with a letter authorizing them to submit your passport application on your behalf. A good expediter will be sure to take this step. Be on guard if they do not ask for such a letter. Determine which passport expediting company is reliable? Check independent product user reviews with an eye on the suspicious. It’s very hard to trust a service that has 500 reviews which are all 5 stars. It’s just not possible. We have been working with passport services for over a decade and have never seen a 100% top rating. Sadly some people have bad experiences due to circumstance beyond the control of the expediter. Make the calls. We did! We have made calls to various passport expediters and asked key questions to make sure they are subject matter experts in the field for a variety of expedited passport questions. It turns out that it isn’t always the service who pays top dollar for prime Google ad space who can give you the best result. What to Consider When Choosing a Registered Passport Expediter? Turnaround Time: The passport expediting service must be able to meet your deadlines. This is not a grey area. It is simple yes or no issue. They either can meet your deadlines or not. Conventional passport applications through the Department of State can take 4-6 weeks or more to process. A good expediting service can get the passport done in 24-48 hours. This is a serious benefit and reason why to use this type of service. However… make sure they can deliver on their promise. Expediting Cost: Cost is always a factor. However, in our opinion, this should NOT be the deciding factor. Your travel plans and your timing needs are foremost. A few dollar difference relative to making your plans, while important, is not sufficient reason to change your selection of one firm over another. Customer Service: Are you being taken care of quickly. Do you have a sense of professionalism? Does the agent know what they are talking about? Clear Concise Website: A website is always a good indication of how serious a company is. Good companies have lots of business and can afford to keep their websites looking clean, current and easy to navigate. Older, difficult to navigate websites are a hint that the company may not have the resources you need to get your passport done professionally. Here are the top 25 recommended passport and visa expediters around the nation. Please call them, check out their reviews and make sure you are comfortable with your passport support agent working with you. Remember this is your trip and your passport will be good for at least a decade to take the time to make sure they are patient and have quick and accurate facts. You don’t want any mishaps. Isn’t that the reason to use an expediter. See the list below. It’s a start of the registered passport expediters we will be reviewing around the nation.